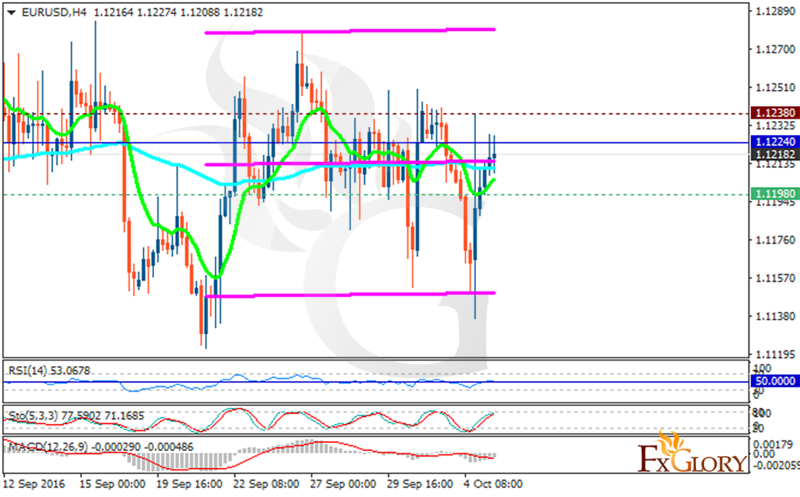 Today EURUSD continued its bullish trend to recover from yesterday’s drop. The support rests at 1.11980 with resistance at 1.12380 which the weekly pivot point at 1.12240 is located in between the lines. The EMA of 10 is moving with bullish bias growing towards the EMA of 100. The RSI is moving above the 50 area, the Stochastic is showing upward momentum and the MACD indicator is in negative territory heading down. There is no clear signal on this chart for traders at the moment therefore it can rest until better signals appear.